Jeff, how those new slides holdin up? Never got around to reinstalling them since I needed a car for DD I put my stock control arms on and stock mounts. I'll be putting them back on in the spring. Update- got purchased Airtonics h/e res a while back, and ordered a different header, I also have a few other things I'm going to change up. I'll update as progress is made. Nice man...can't wait to see what's coming! Well while I don't have a camera to post up whats been going on with the car, I have been slightly busy. This Friday Cavattack will be up in Chicago tuning Vetguy's ohv turbo cav ( my old one) and my m62 eco so I'm hoping for the best. I also finished fabing up my LS1 tb cable bracket and it's paint is currently drying. Come dyno day, I got to install my 42 lb hour injectors as well, and I'm hoping for at least 250 whp but time will tell and I'll update this thread when i get back. Your doing all that for 250whp? Shoulda just cammed it. Not at all, I just don't want to expect a higher number and be disapointed. In all honesty I'm hoping for 270whp but we will see. I just fired the car up with the gm flash it idles nice and the car can be moved around at a 10.8-11.9 afr driving under vacume and a light foot. Well I've been too lazy to post any update pics or info so I figured I'd do it before I finished my last beer and go to bed. Once I replace my bad throw out bearing and get my car to the track I'll post up some new quarter mile times. 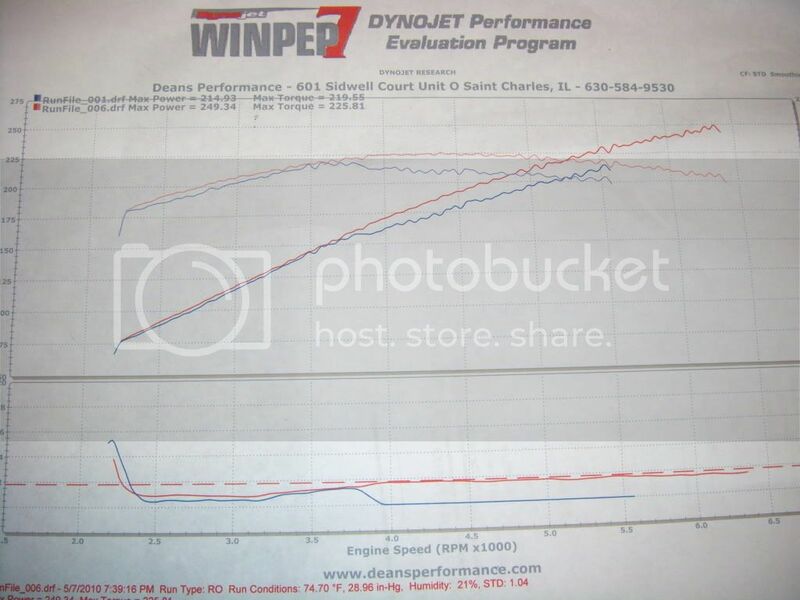 I had Cavattack2200 tune the car, the blue lines were the first pull on the dyno and the red is after some tweaking. I just scored a spare eco for $100 so as time allows, I'll be building a motor and getting some cams to go with it, so I'll keep this thread going. Dyno results- fake2.5 bar tune on a M62 eco,3.0 @10 psi, LS1 tb and full exhaust with phenolic spacers and dual pass. Atomic Fabrications 2.5 stainless exhaust with v bands. Nice that gives me alot of hope for later on this year. Car pulls good, and eventually I'll get a smaller pulley, and cams, and we'll see where it goes then. Tinkles you were going to be installing cams on a stock motor with different springs for your tune or will you be swapping a built lowwer end in as well? We haven't done much to his car since. He is working on other things right now. I think he just wants to step away for a bit and take his time.....he was considering selling the car if he still has issues after swapping the harness though..so we will see. Justs cams, valvesprings, 60s, 29", and basically everything thing you just installed will go on the stock engine. I have a spare eco that'll get a full build next year. We need some ~300whp S/C Js on here. 249, very nice. Hoping once I get my header installed and retuned that I pump out alot more then my 214. 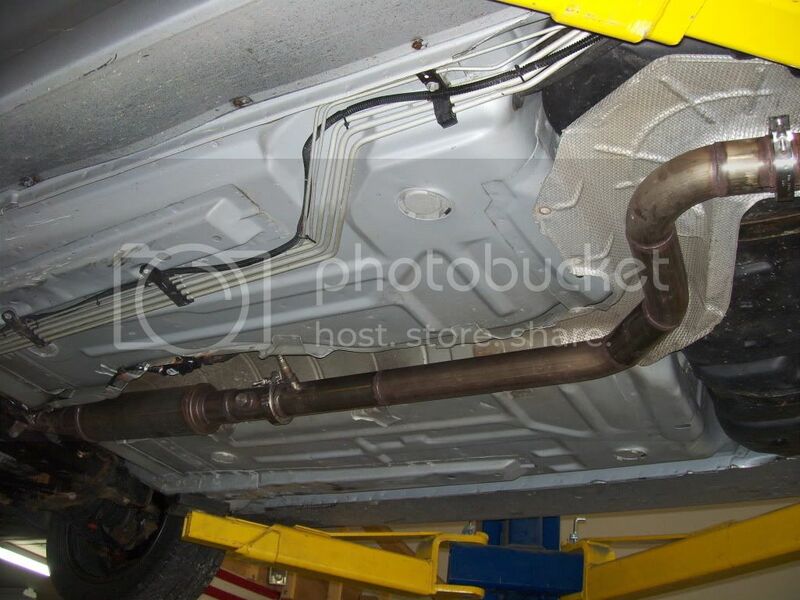 Based on your mods, you should be making more than the 214whp... How much boost are you reading? Who did your tune? Was running super rich at the time of dyno. 10.1 AFR, car was tuned to run mid 11's. I'm seeing 11-12psi. I picked up my spare eco motor....so I'm slowly going to aquire parts for my lowwer end build...rods/pistons, hardend oil pump gears and balance shaft delete. Very Nice! Planning on staying with the m62, or are ya going to move up to a TVS? Save your money. It might be worth something someday. harrop tvs is a better alternative w/ less fabricating. I'll the only reason I might go with an m90 or 112 is it's another option and I still need to see who made the plate for hotrod magazine when they did their lsj build article. If I can get a better deal on that than a harrop I might go that route.....but we'll see what happens in the long run.